It is not just temperature records that are falling. 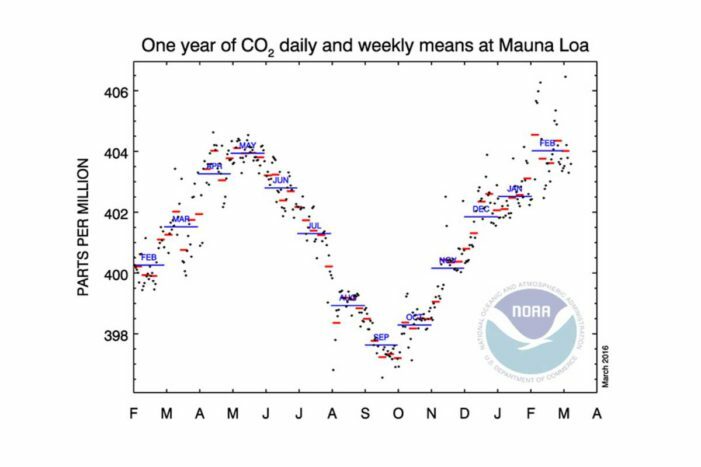 The average carbon dioxide level recorded at Mauna Loa, Hawaii, during February 2016 was 404.02 parts per million – 3.76 ppm higher than the average for February 2015, according to preliminary figures. That is the biggest ever increase over a 12-month period. The previous 12-month record at Mauna Loa was 3.70 ppm, from September 1997 to September 1998. A new record has also been set for the biggest rise over a calendar year. 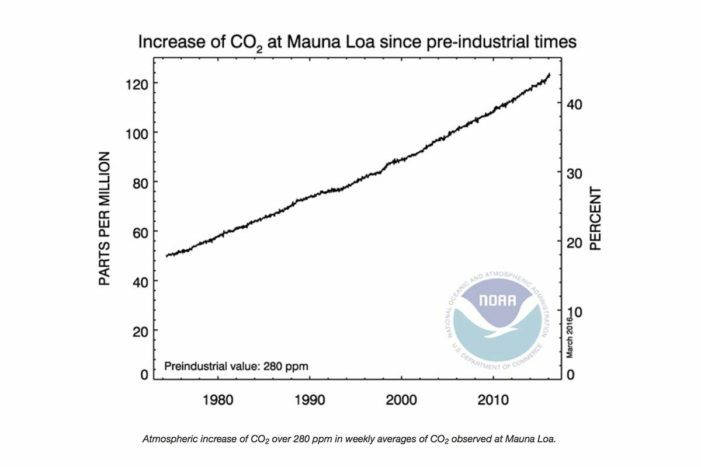 Global average CO2 levels (which differ slightly from the figures for Mauna Loa only) rose by 3.09 ppm in 2015. The previous record was a rise of 2.82 ppm, in 1998. The record figures are due to the continued growth in emissions from human activity along with the ongoing El Niño phenomenon, which causes CO2 levels to shoot up because it causes in an increase in wildfires in places such as Indonesia. They are, of course, bad news because the higher the levels of CO2 are in the atmosphere, the more the planet will warm in the future. 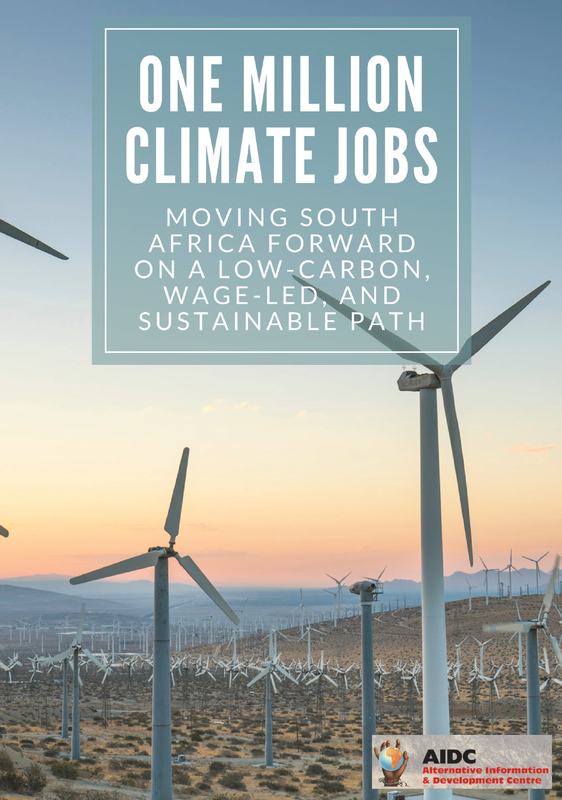 Some studies suggest that greenhouse gas emissions have fallen recently, but these studies typically only include emissions from energy generation and industry, and are based on countries’ own estimates. They do not include changes in land use, such as deforestation and the loss of peat. While the El Niño boost will be temporary, says Ralph Keeling of the Scripps Institution of Oceanography, the long-term trend is that more and more CO2 is entering the atmosphere every year. What’s more, the rate of growth continues to increase.